Oh my, I can relate…I have seen cars drive on sidewalks to avoid the round-about. Cars going across medians to get to parking spaces on a service road. 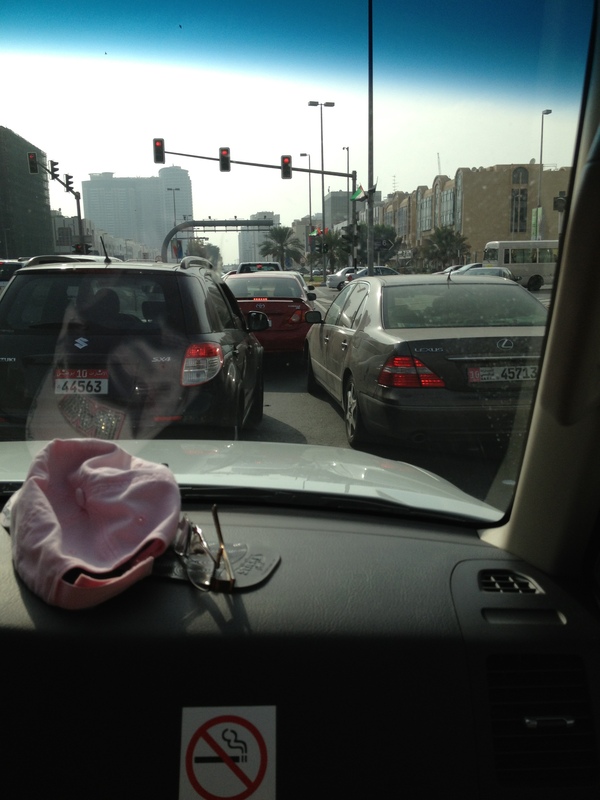 Backing up in a travel lane to get to the missed exit…It is so crazy…and I have found myself “going native” a few times… How is life in Bahrain?? We arrived in Dubai in January. Yes! Backing up on the interstate IN THE TRAVEL lane still makes me crazy – as does the double- and triple-parking we have here….. but, somehow, not sure exactly how, it seems to work. Bahrain is fabulous, we are so very happy here – MUCH different from Dubai in a number of ways. It’s a good location for us, and we’re glad to be here. Glad you are getting settled in! LOL… Gin, driving here takes this particular level of crazy. Thank goodness I am well-stocked on that!